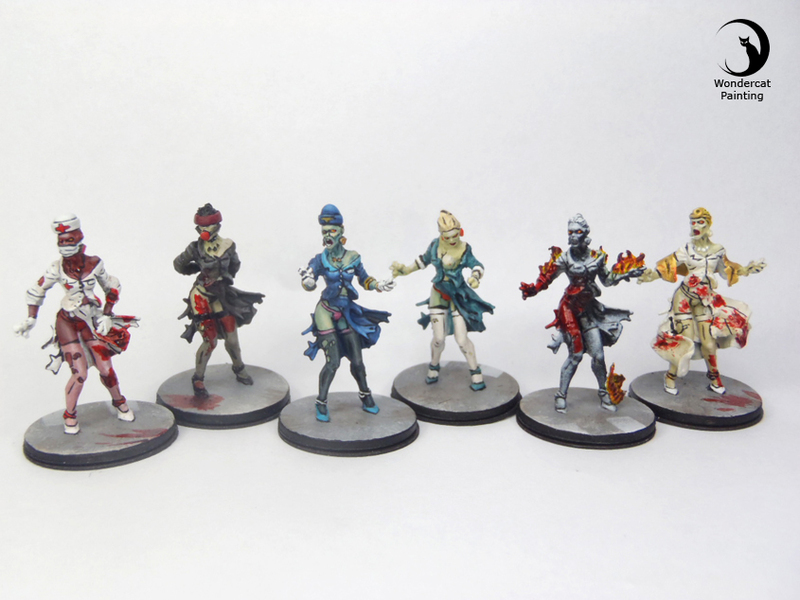 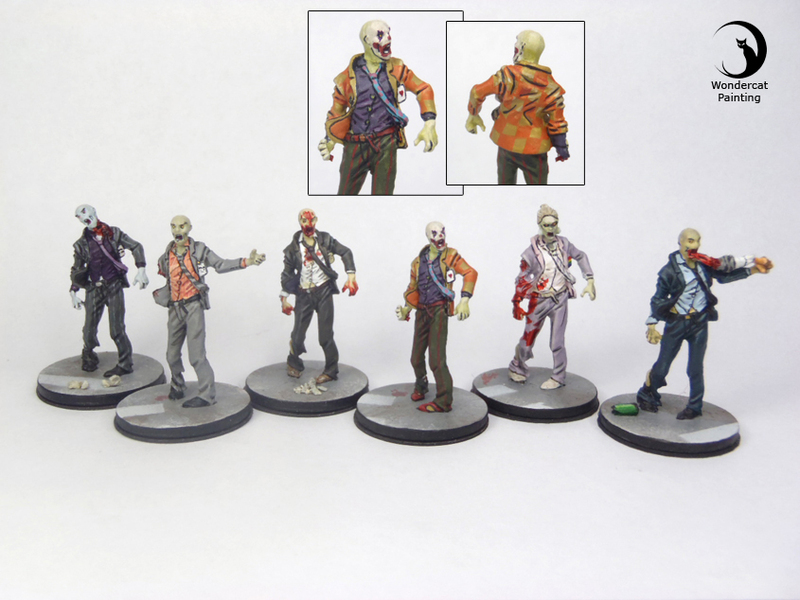 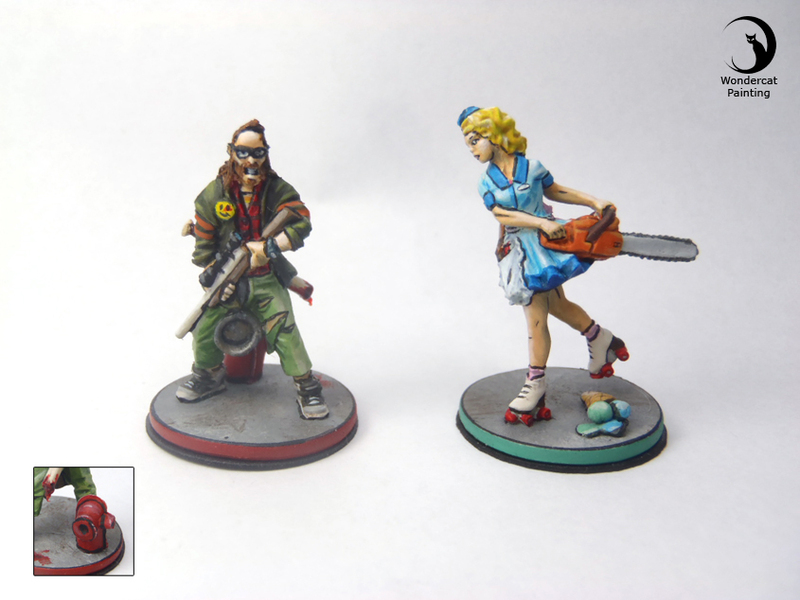 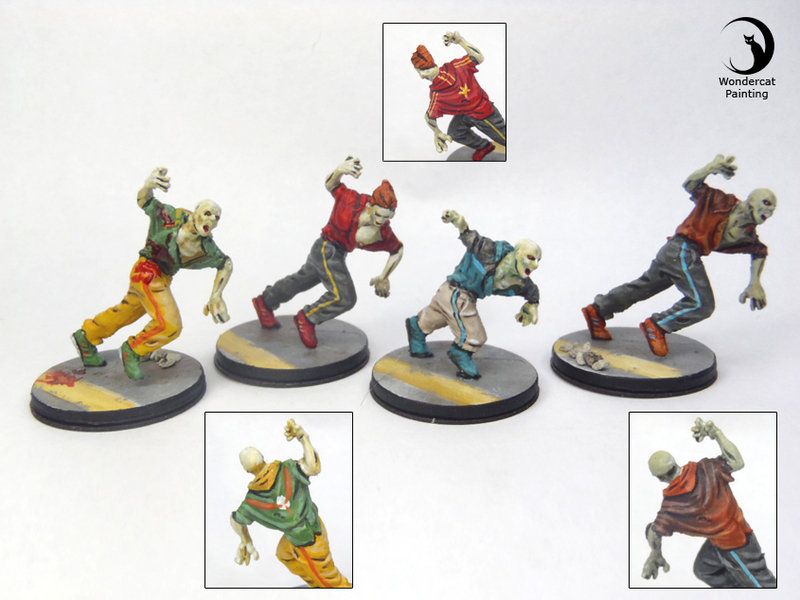 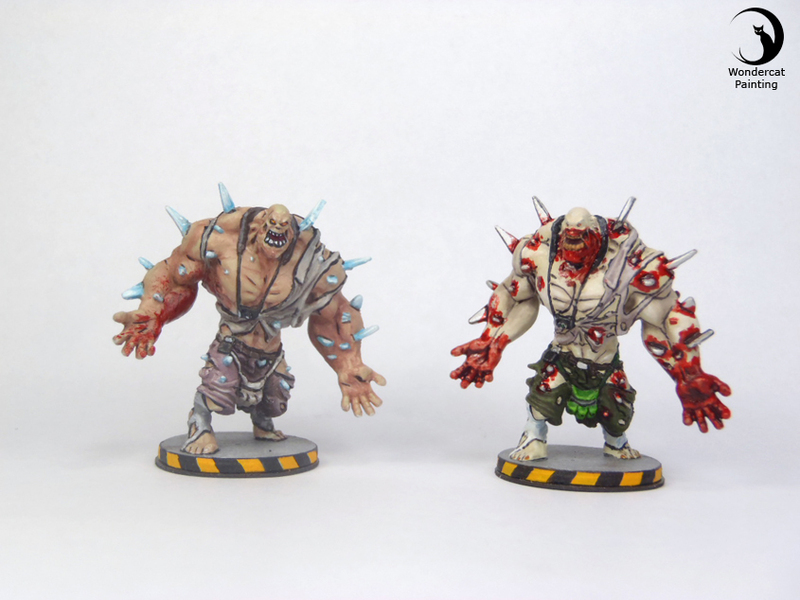 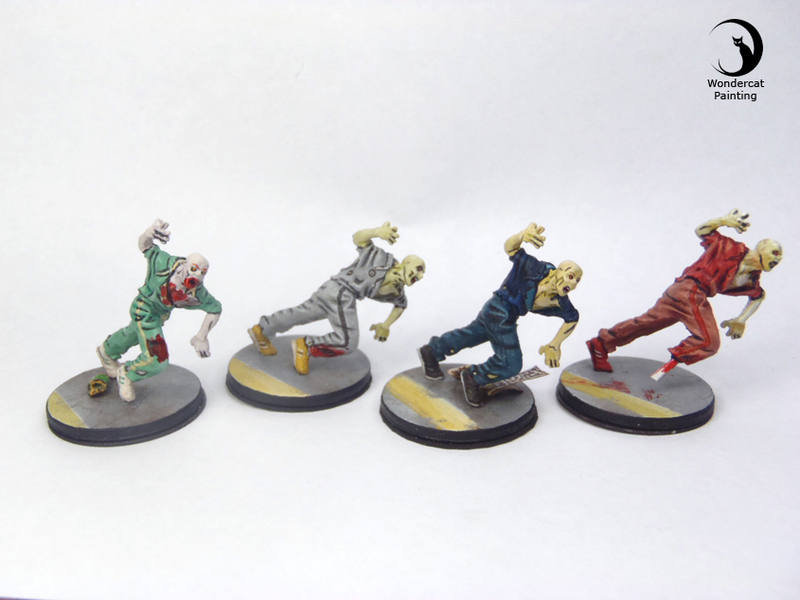 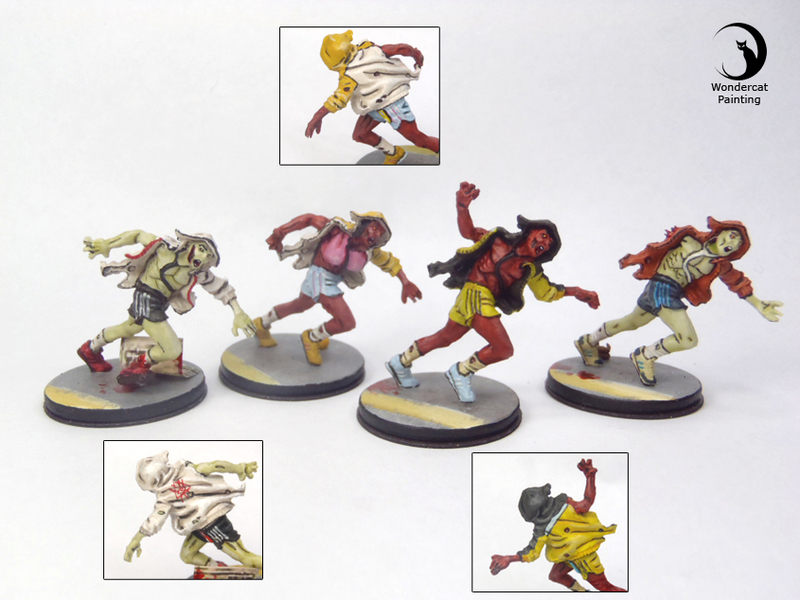 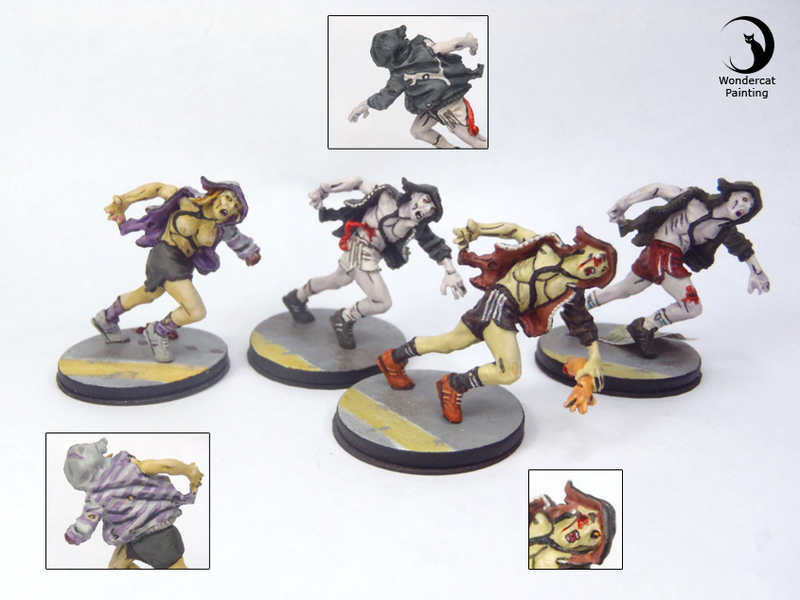 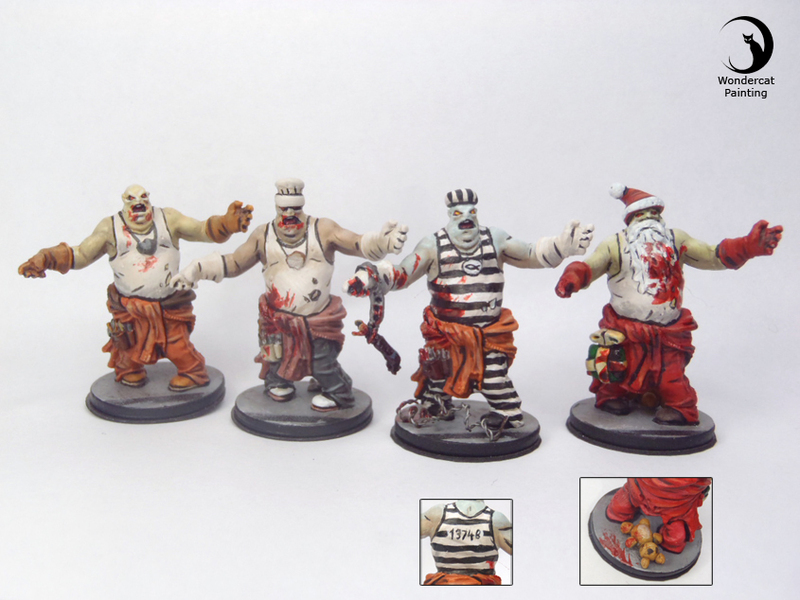 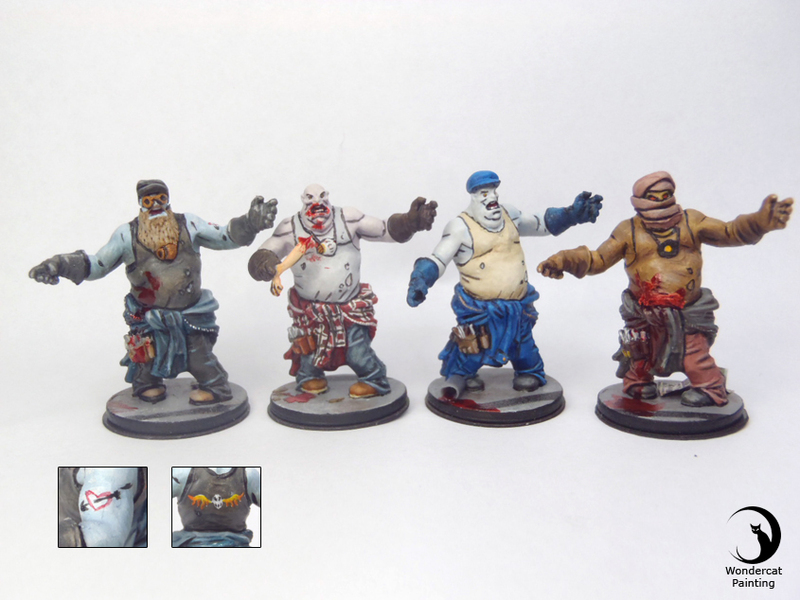 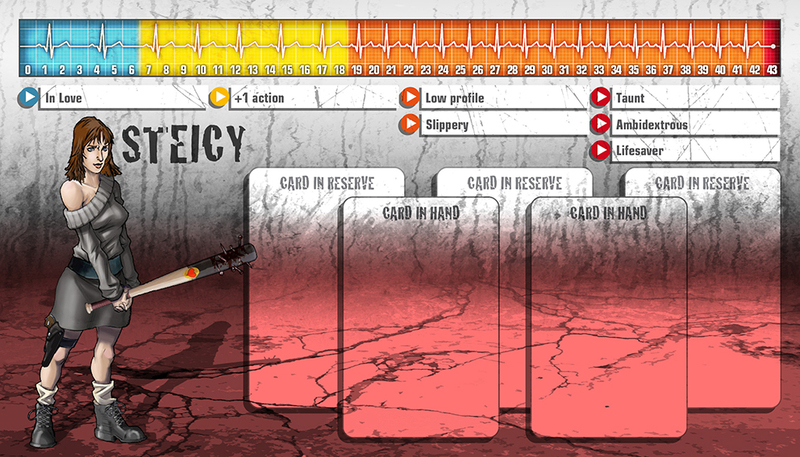 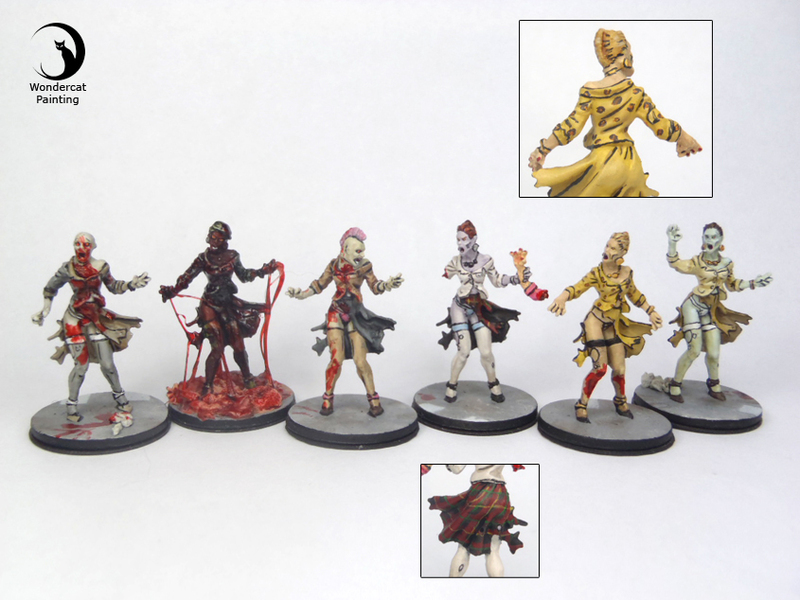 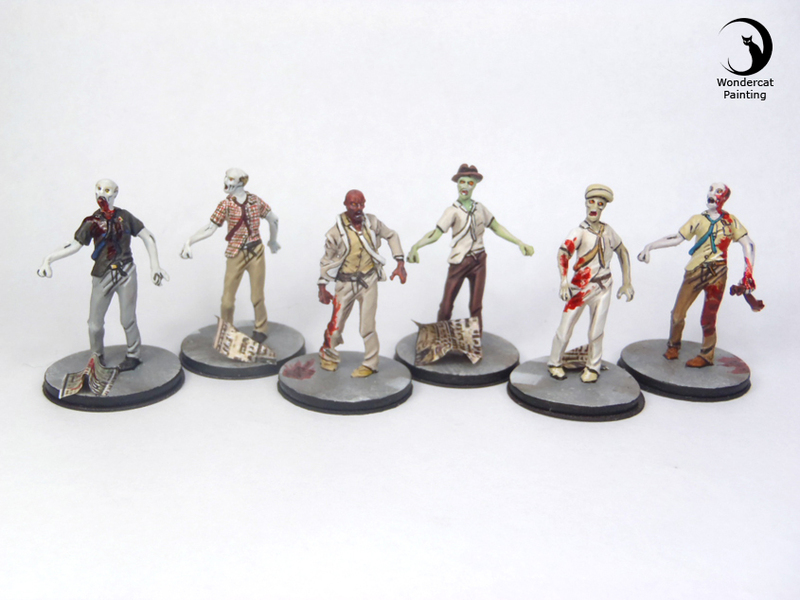 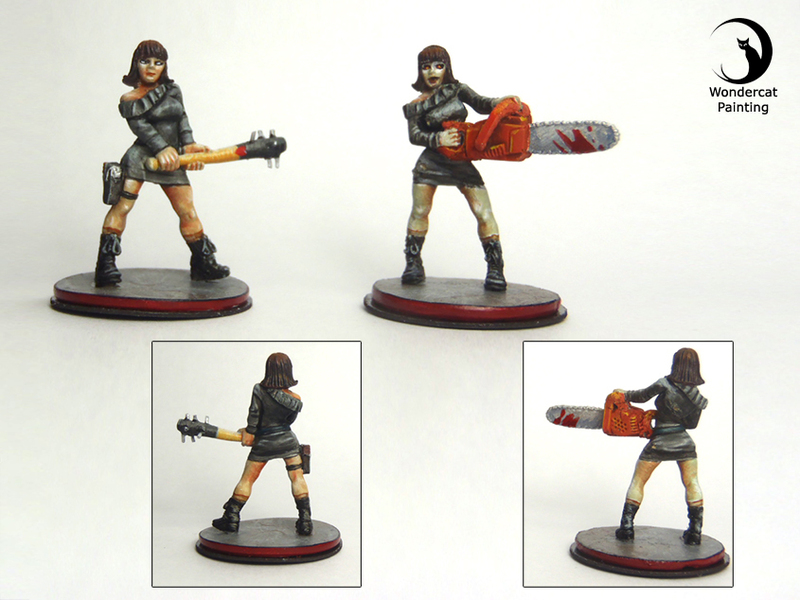 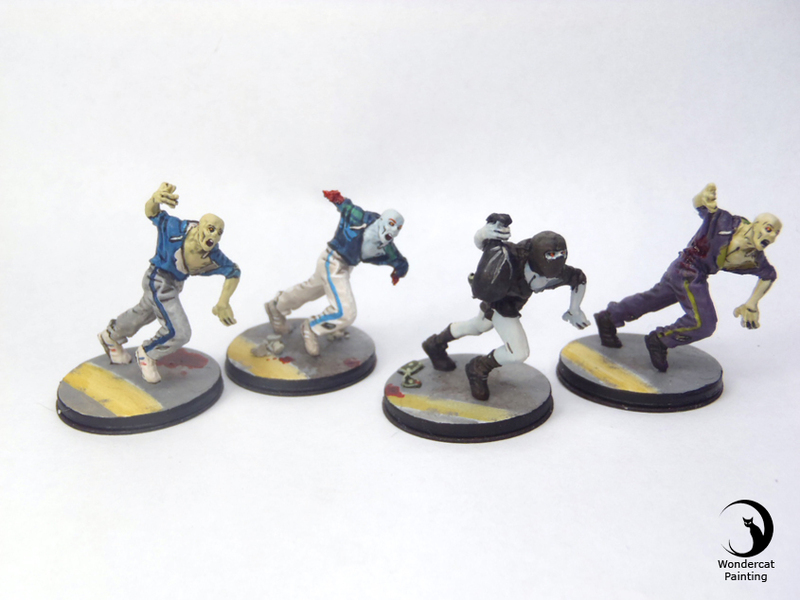 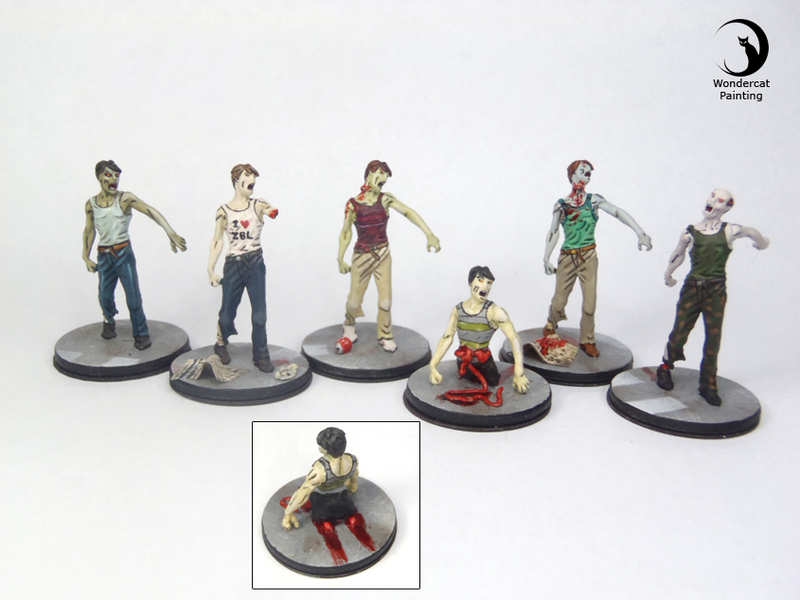 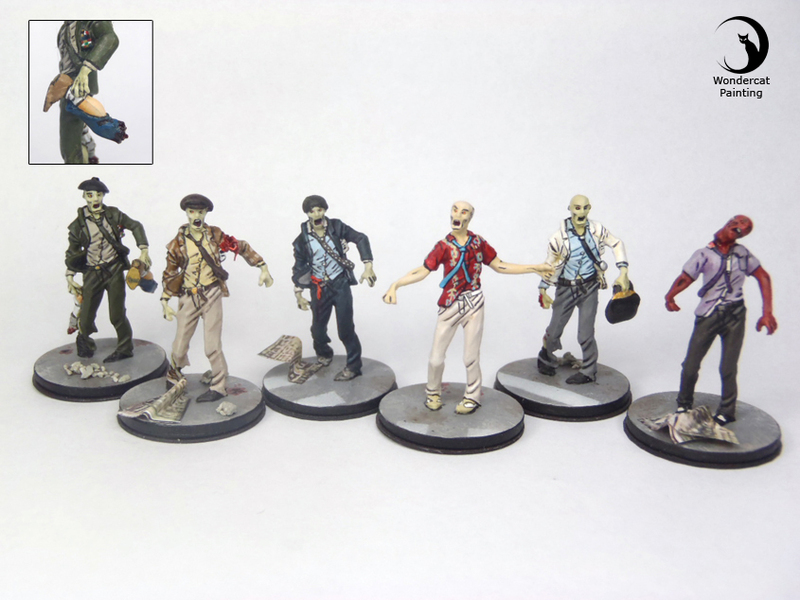 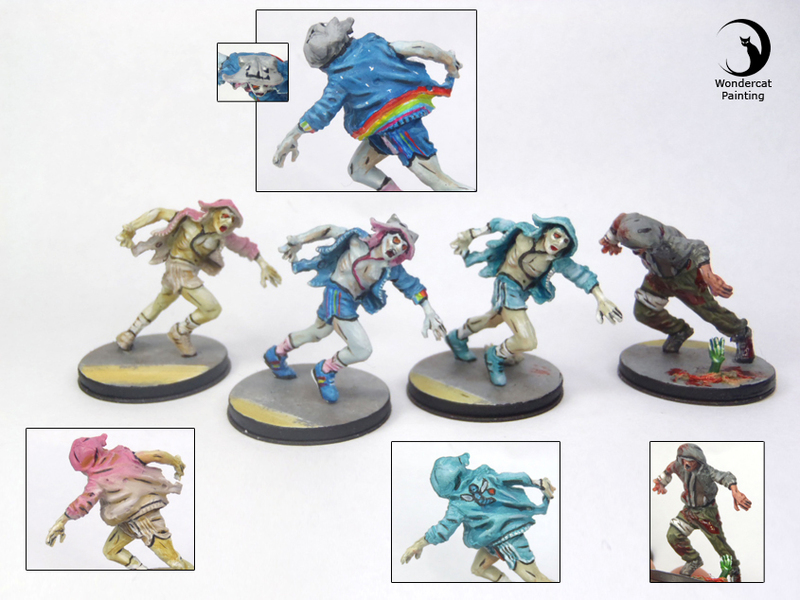 Zombicide is a highly popular zombie boardgame crowdfunded with Kickstarter. 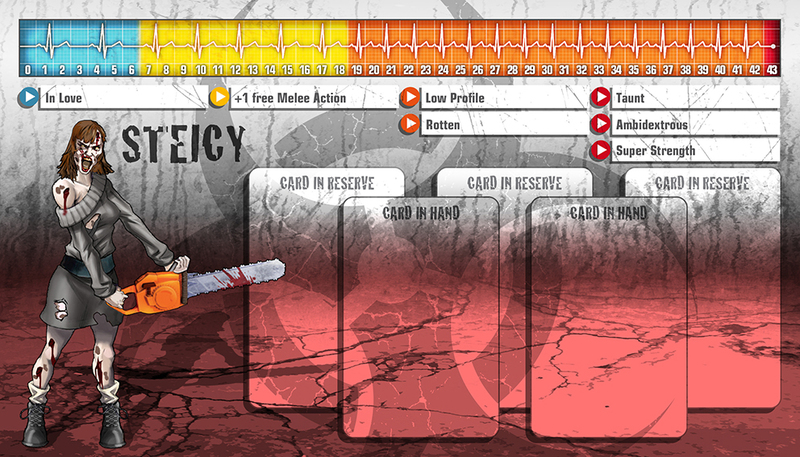 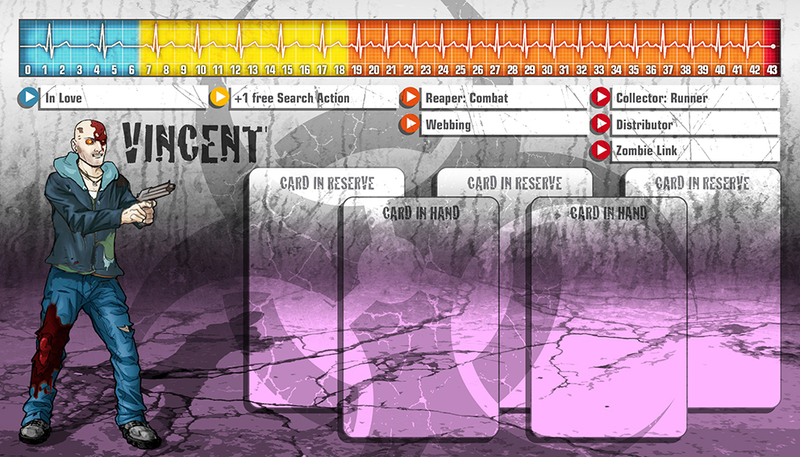 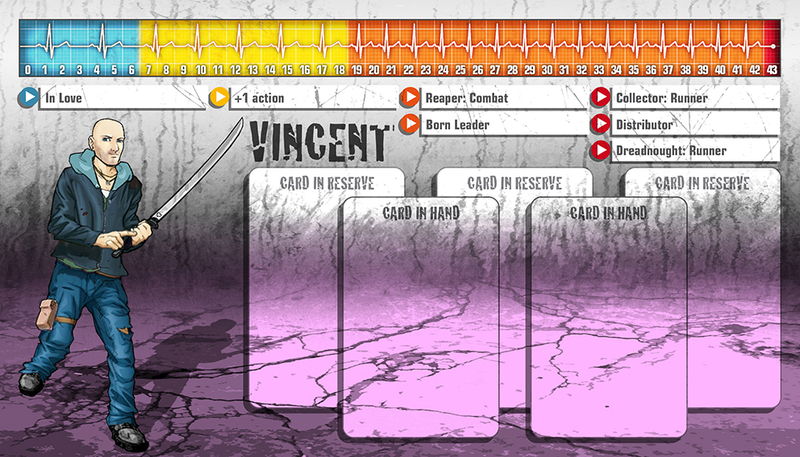 It features geek-references Survivors trying to make it through a zombie-infested board. 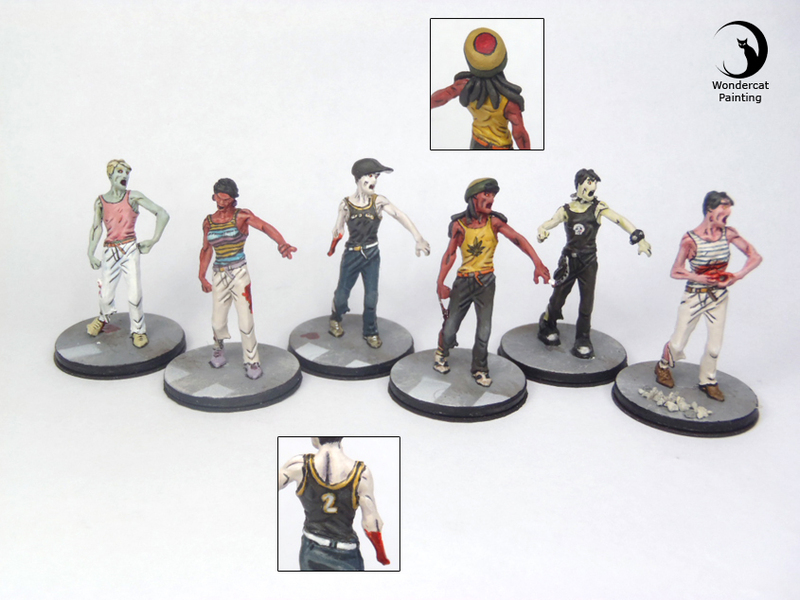 Crowd of look-alike zombies would be a little dull. 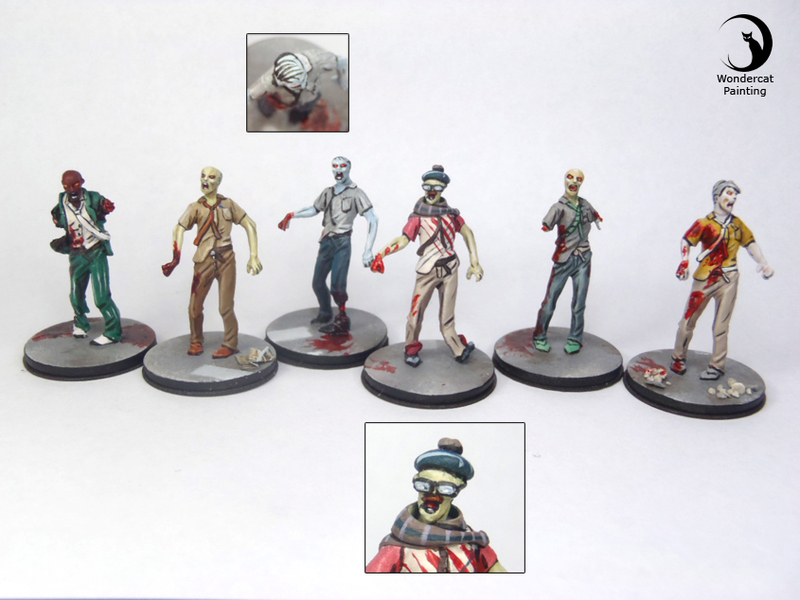 So we’ve green-stuffed most of the zombies to give them unique features, making them recognizable clichés. 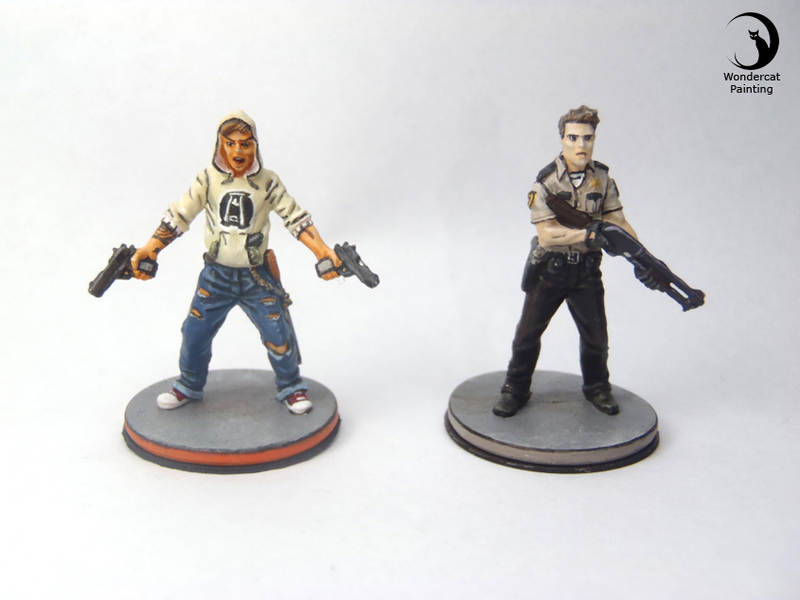 The whole lot has been painted with clear black strokes to mimic a comic-book style. 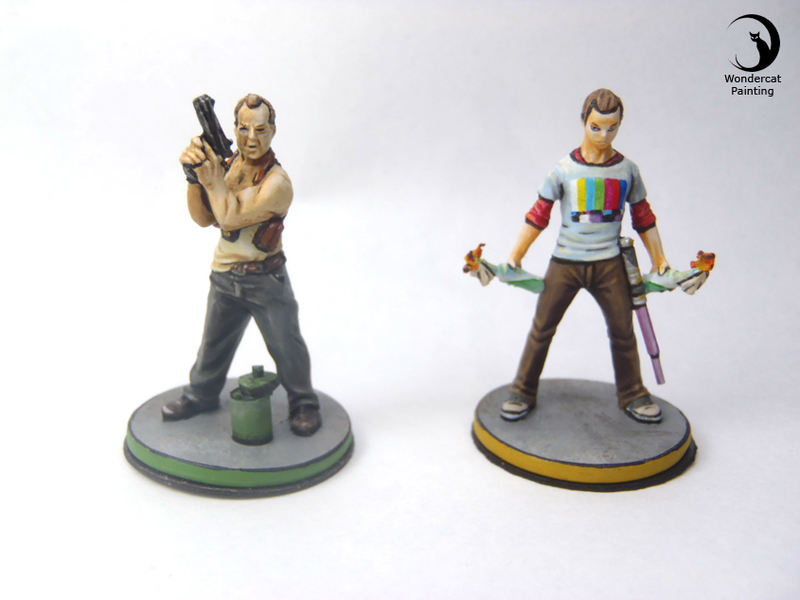 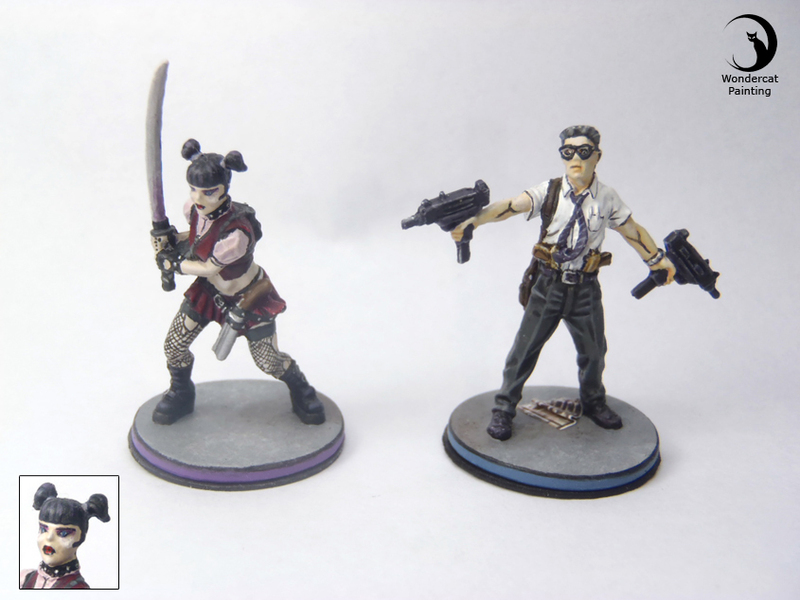 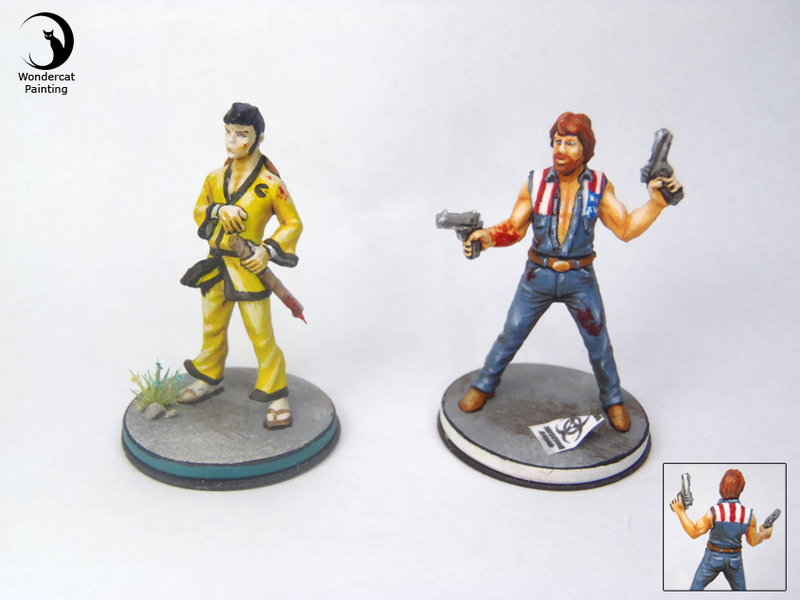 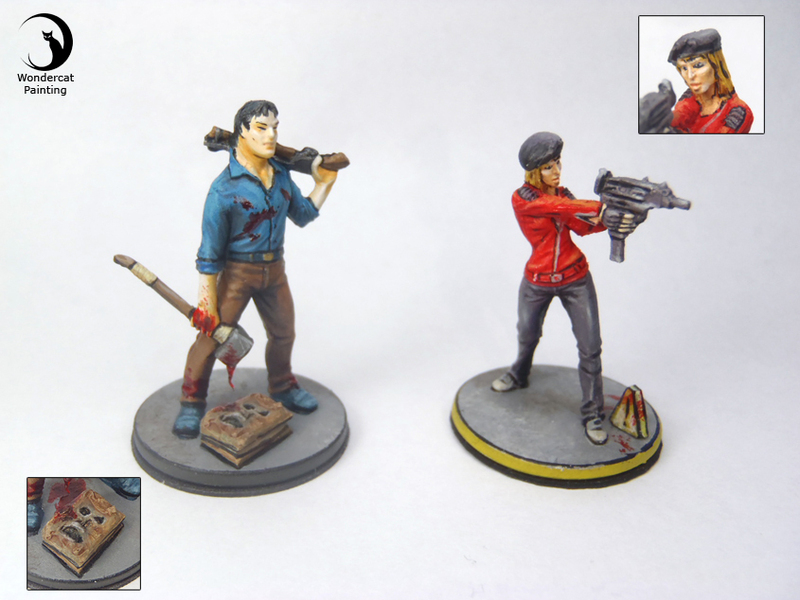 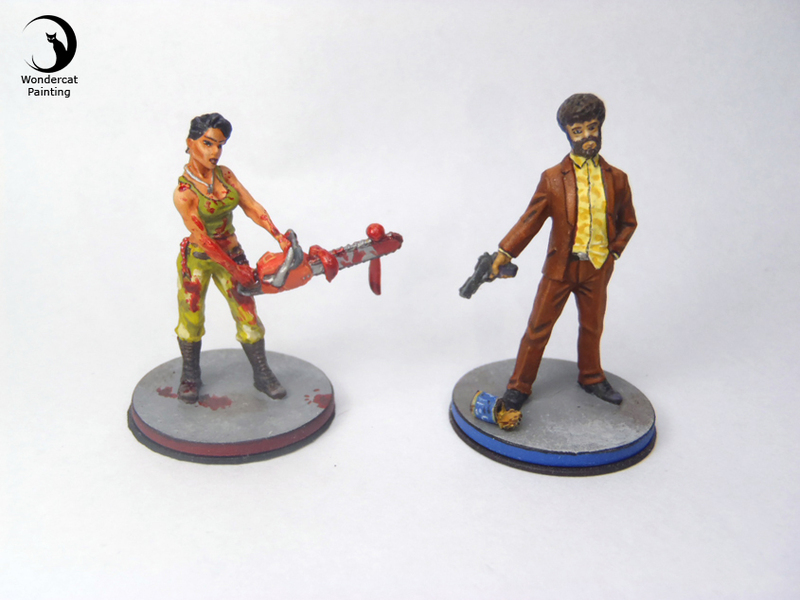 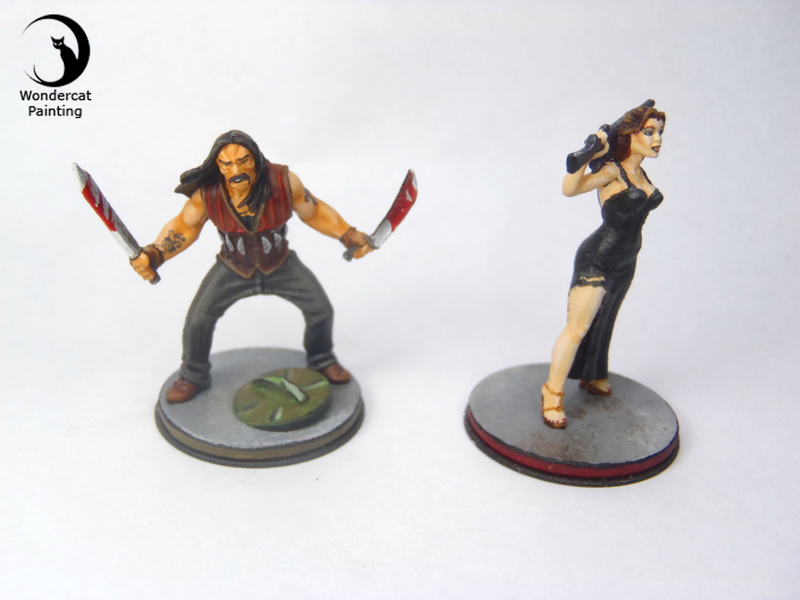 For our couple anniversary, I designed Zombicide versions of ourselves. 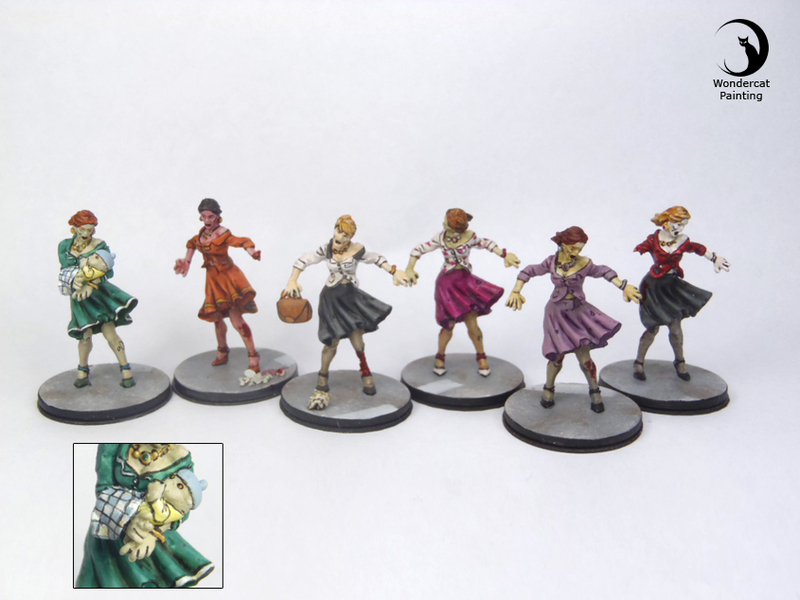 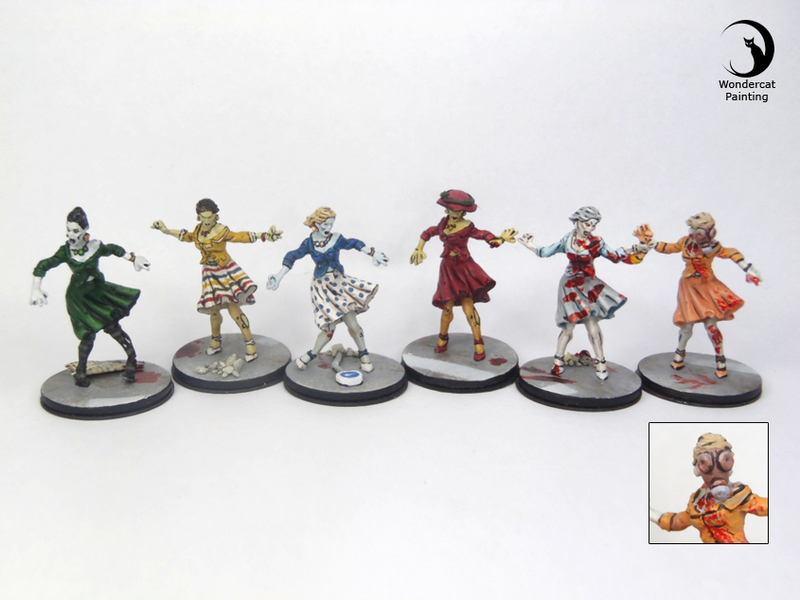 Quite a challenge to compose images that would look like us, wear clothes we actually own, and find fitting miniatures that goes with the whole ! 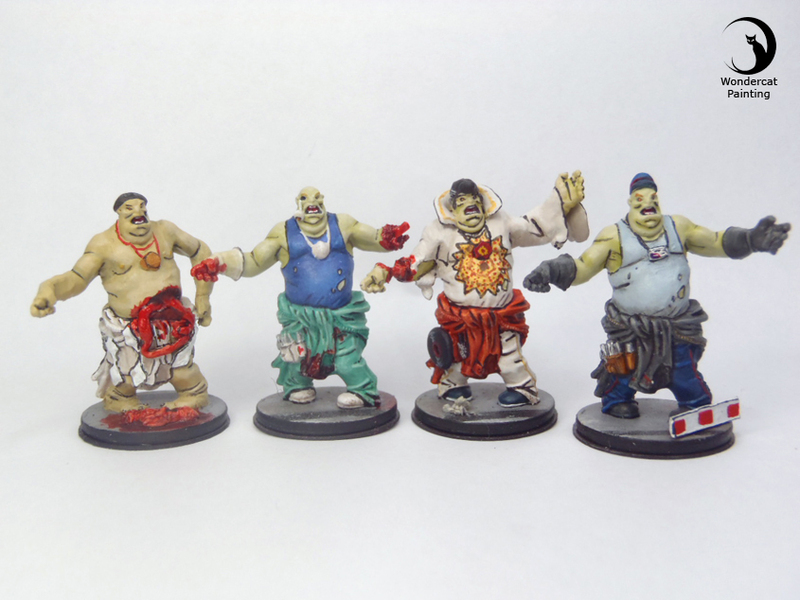 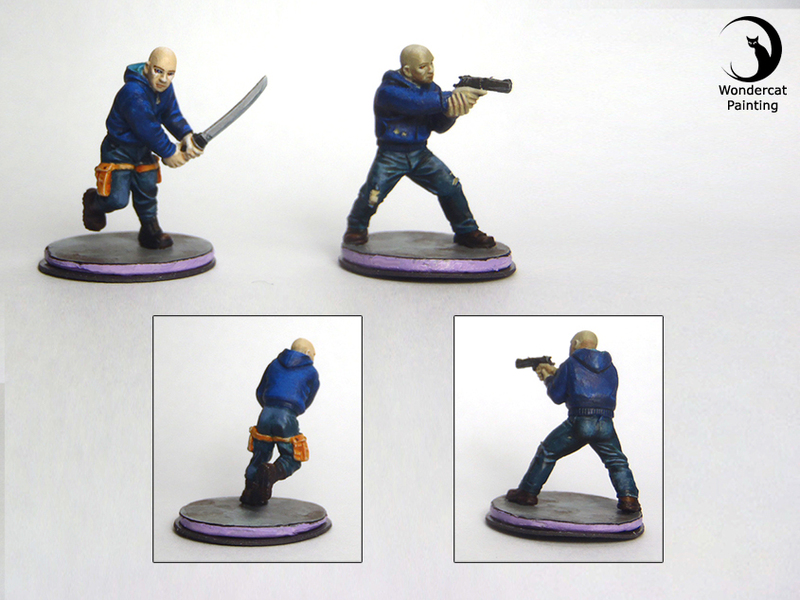 A bit of Photoshop, some greenstuff, miniatures from Hasslefree… and here we go !